It’s difficult to know what to get as presents so here are some ideas for you. Please don’t think this is the complete list – your ideas are always welcome. We do ask however that all gifts are new and unused please. We at the Christmas Smile Project believe that every child should receive a gift at Christmas. With your help, we aim to provide gifts to put a smile on the face of each child living under very difficult circumstances within the local area. This year we will also be including elderly residents who may be in difficulty or alone and without a gift this Christmas. 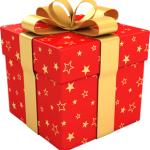 If you are able to provide a gift, please take it, unwrapped to your collection point by 5th December. A team will then collect, process, wrap and distribute the gifts in time for Santa’s arrival.